These days, we tend to think of ‘Baroque’ as symbolising stylishness. In fact, the word was used as a term of derision by those that felt it was excessive and quite simply too loud. Whereas the Renaissance drew its inspiration from the Classical, with its rational straight lines, Baroque was colourful, curvy and just a bit too loud for some tastes. Baroque survived, however, and not only did it survive, it thrived. Germany, Austria and Russia proved to be centres for the style and it is not too difficult to find Baroque architecture in most European cities. Even sober Englishmen like Wren and Hawksmoor could not resist a touch of Baroque in their designs. With so many examples to choose from, it is not an easy task to reduce the list to a mere handful, but the buildings described below are, in our opinion, among the finest. 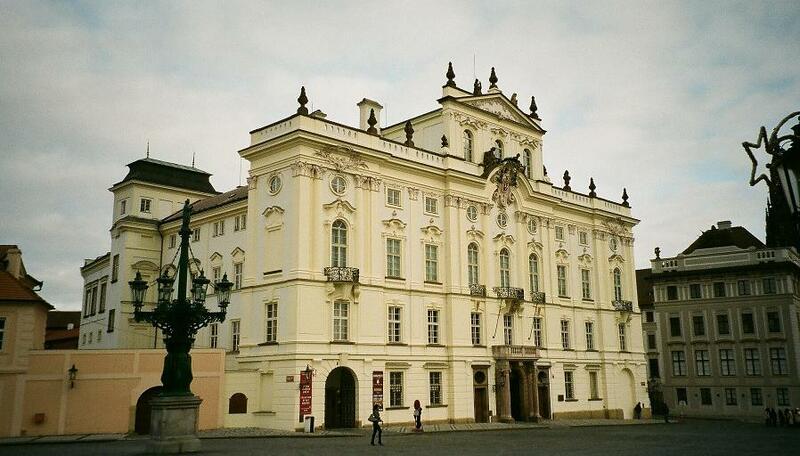 Baroque caught on in Eastern Europe and is quite often found in Ukraine, Russia and neighbouring countries. 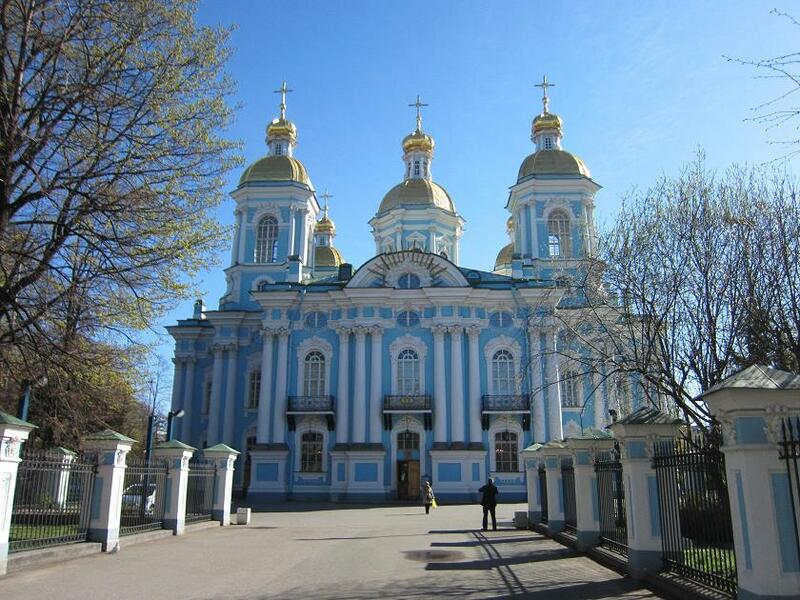 Churches, in particular, are a popular building for the style and there are many wonderful examples in Kyiv. St Andrew is not only Scotland’s patron saint, but that of Ukraine as well, and the church dedicated to him is one of Kyiv’s best. It was designed by the great Baroque architect Bartolomeo Rastrelli and nowadays is the patriarchal cathedral of the Ukrainian Autocephalous Orthodox Church. The building was completed in 1767. As with many Orthodox churches, the interior artwork is stunning and features a lavish, three-tier iconostasis, also designed by Rastrelli. Also worth a look, though sadly one cannot go inside, is the Mariinsky Palace, designed by the same architect. 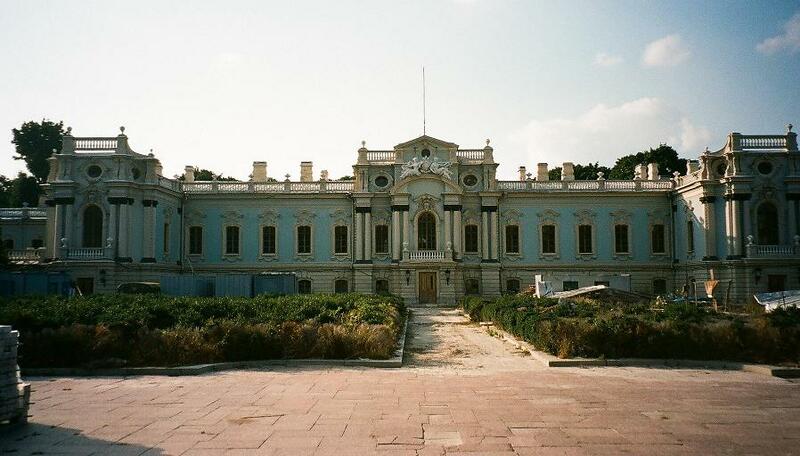 This lovely blue and cream building is an excellent example of the Russian Baroque style. 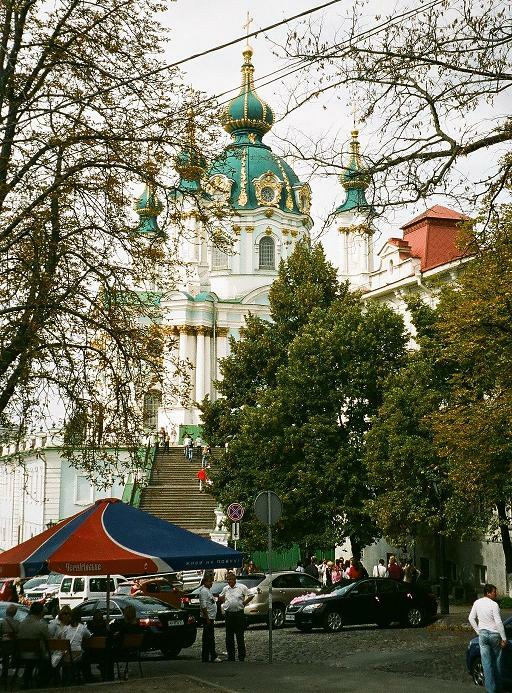 It was built in 1755 as a residence for royalty visiting Kyiv. The fingerprints of the ubiquitous Rastrelli can be seen all over St Petersburg, never more evidently than in the Winter Palace and at first sight, the visitor might assume that St Nicholas Cathedral was another Rastrelli classic. In an indirect sense, it is, having been designed by one of the Italian’s pupils, one Savva Chevakinsky, who was also the architect responsible for the rebuilding of St Petersburg’s first museum, the equally lavish Kunstkamera. The cathedral is quite unmissable, a giant turquoise and white wedding cake set amidst trees and gardens. The interior is just as decorative as the external appearance. 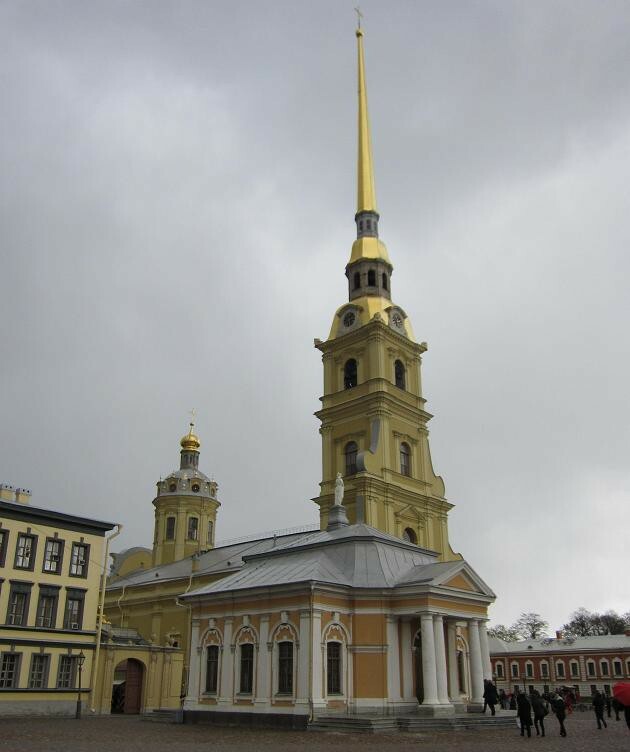 It has a long association with the Russian Navy and is sometimes referred to as the Naval Cathedral. 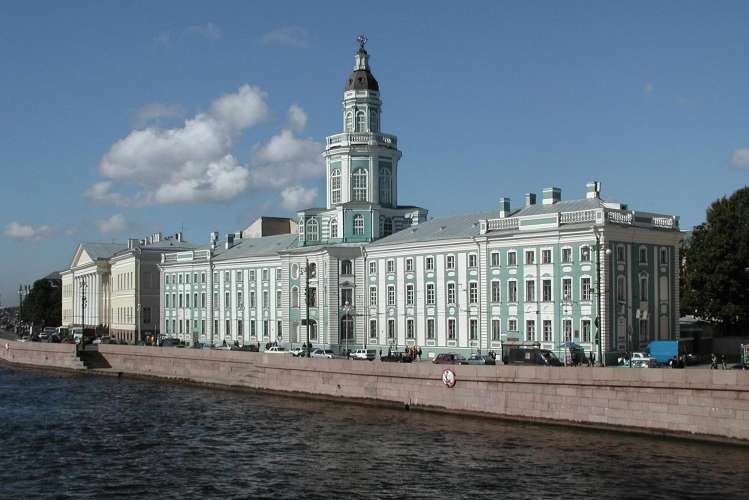 Across the Neva River stands the Peter and Paul Cathedral, designed by Domenico Trezzini (who also designed the Twelve Collegia, the main building of St Petersburg University) and completed in 1733. 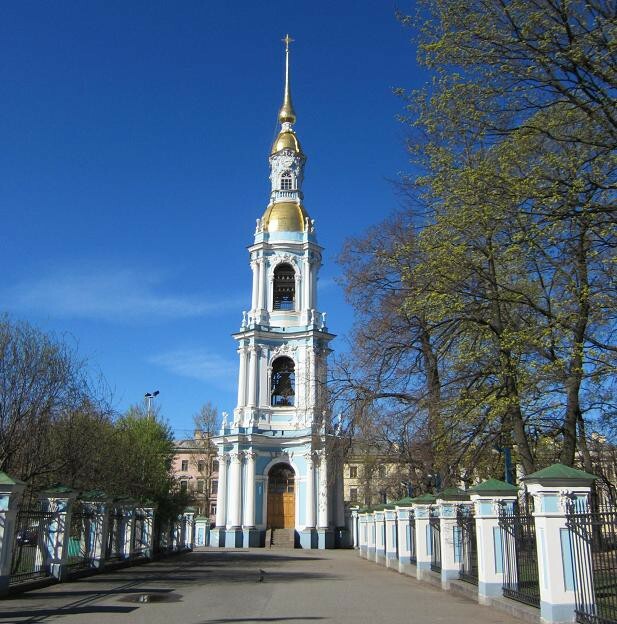 The bell tower is the tallest of any Orthodox church and the lavishly decorated interioor houses the tombs of most of Russia’s emperors and empresses. Istanbul’s varied and turbulent history means that there are buildings of varying styles and, in some cases, a mixture of styles. 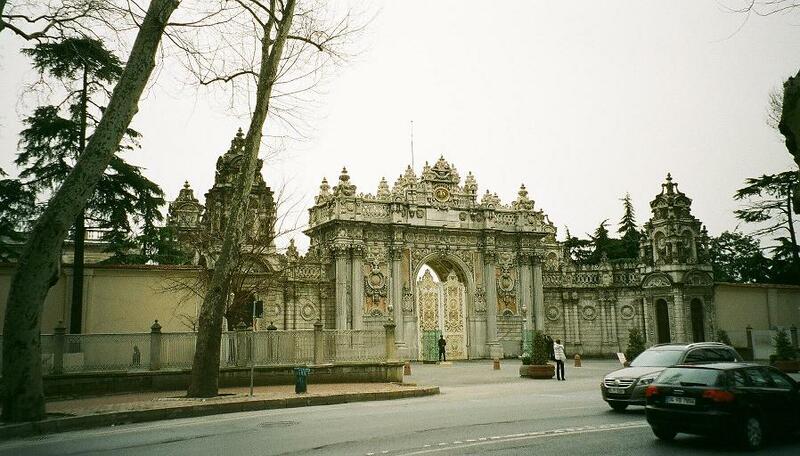 The city does not lack for beautiful buildings and one of the very best is the Dolmabahce Palace. Designed by Armenian architects at the behest of the Europhile Sultan Abdul Mecit, the palace was completed in 1856. It is not a modest affair; the waterfront façade is 284 metres long and the building contains 46 reception rooms and galleries. Everything is magnificent, from the highly ornamental gates to the Paul Garnier-designed clock tower, added 30 or so years after the construction of the palace. It was, though, the sheer extravagance of the palace that helped bring about the downfall of the Ottoman Empire and it was from the Dolmabahce that the last emperor fled into exile in 1922. Visitors in search of fine buildings make a good start if they arrive at Zagreb’s main railway station. Like many of the stations on the route of the Orient Express, it is a stylish affair. Outside the station, the view across King Tomislav Square is of lawns, flowers and a large fountain, behind which stands the elegant Art Pavilion. 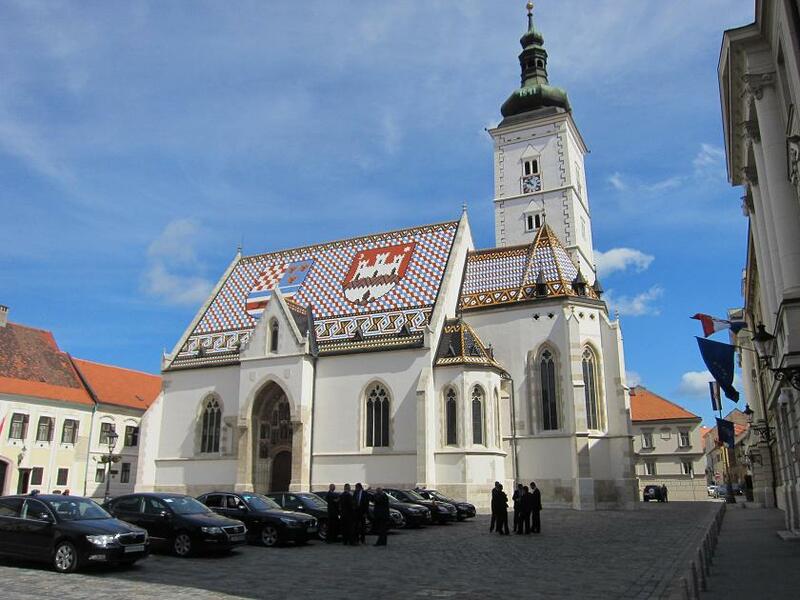 It is, though, up the hill in the Old Town, that the visitor needs to be to enjoy Zagreb’s magnificent Baroque St Catherine’s Church, a 17th-century construction in shimmering white and featuring gloriously outrageous pink stucco on its walls. It is located close to St Mark’s Cathedral, with its famous chequer-board roof tiles. Prague may have an extensive collection of Gothic buildings and at least one renowned Art Nouveau structure, but there is a lot of Baroque around. Indeed, the Czech Republic is something of a feast for lovers of Baroque and most churches in the countryside are built in this style. Prague Castle, like many medieval strongholds, has been rebuilt and reconstructed many times down the years, resulting in a mixture of styles. While its cathedral is unmistakeably Gothic, there are Renaissance and Baroque structures throughout the whole complex. The Matthias Gate is believed to be the very first Baroque construction in Prague. 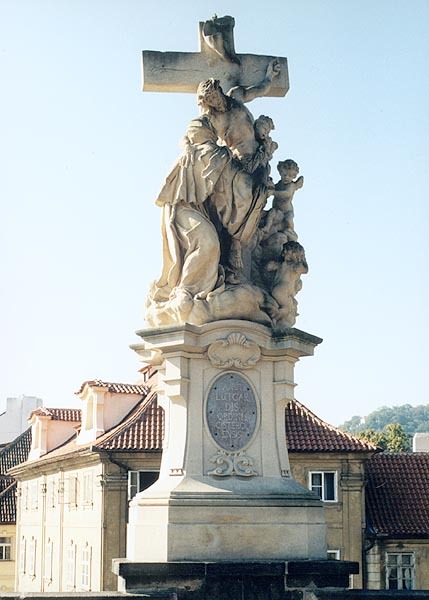 Another Prague landmark, the Charles Bridge, is noted for its Gothic towers, but one should not overlook the collection of Baroque statues – some 30 of them – on the bridge itself. The statues, by various sculptors, were added in the late 17th and early 18th centuries. 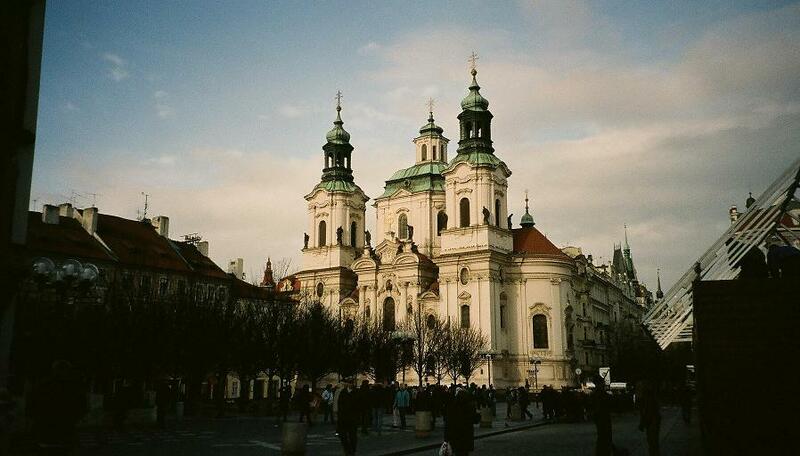 Prague has many Baroque churches, the most famous being the Church of St Nicholas, built in the 18th century on the site of an old Gothic Church. Its architect was Christoph Dientzenhofer, who was also responsible for the rebuilding of the imposing (and Baroque) Břevnov Monastery. 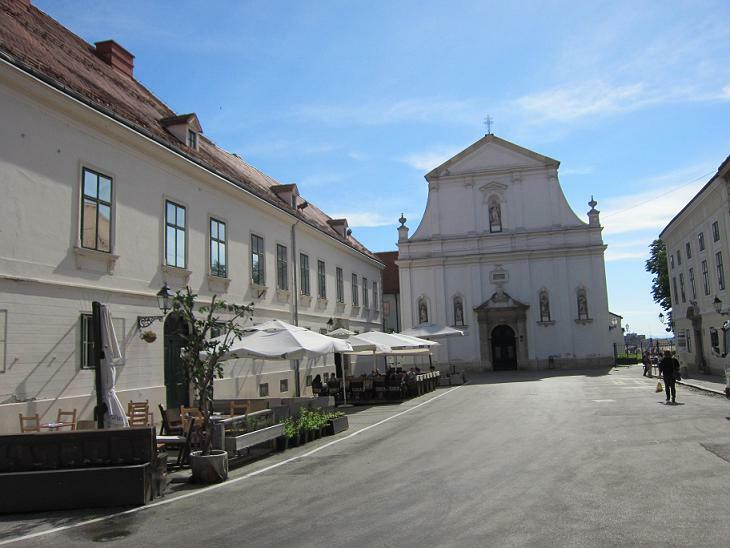 The monastery is known as the oldest brewer in the Czech Republic and Benedictine beer is still brewed today. Eastern Europe is a happy hunting ground for lovers of Baroque and one of the pleasure is to see the variances in style from place to place. Sadly, Bucharest was deprived of a vast number of buildings during the Ceauşescu years, many of them lost in the construction of the notorious Casa Poporului, which by a piece of sublime irony, the dictator was never to see completed. Away from this monstrosity, however, the visitor can still find some delights. 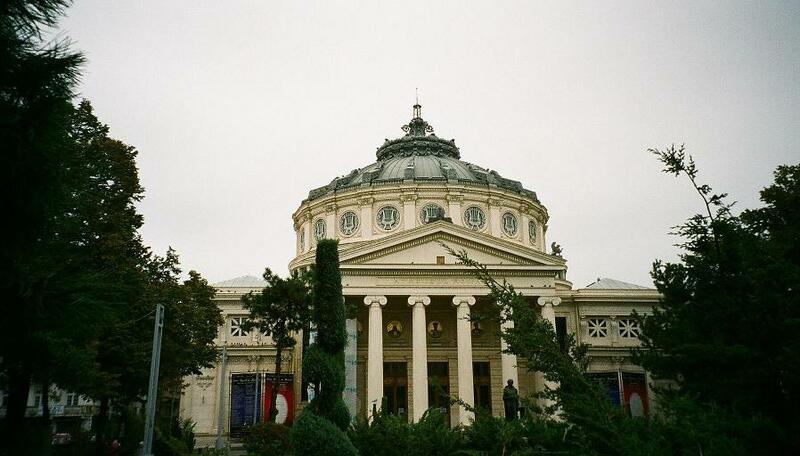 There is, for example, the Ateneu Român, a lovely concert hall in Neoclassical style that is home to the George Enescu Philharmonic, which offers classical concerts throughout the year. Surpassing this, however, and with a touch of neat symmetry, is the George Enescu Museum, half a mile or so to the north of the Ateneu. George Enescu was Romania’s finest composer, though is perhaps better known, at least in the west of Europe, as the instructor of the world’s most famous violinist, Yehudi Menuhin. 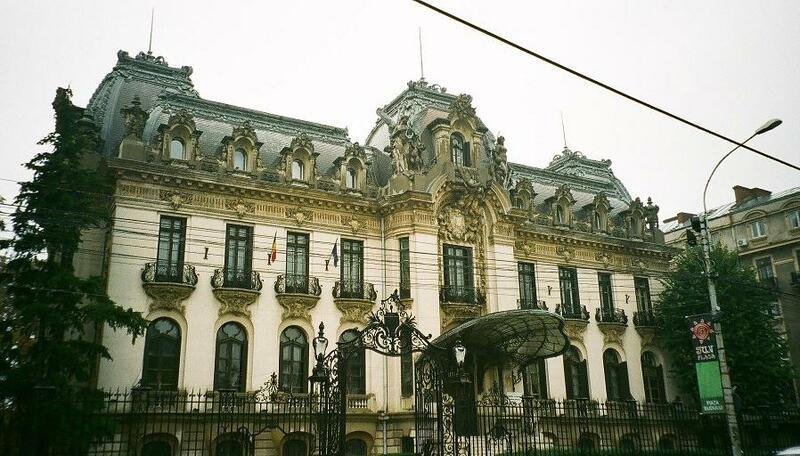 The museum that bears Enescu’s name is probably the loveliest building in Bucharest. Its Art Nouveau splendour is so out of keeping with much of the city’s architecture that discovering the museum is a source of both surprise and delight. It was not, in fact, Enescu’s own house, but was built for a merchant named George Cantacuzino, in the early 20th century and is still sometimes referred to as the Cantacuzino Palace. Enescu himself did reside in the smaller pavilion behind the palace from 1937, having married Maria Cantacuzino, the widow of George’s son Mihail. The building’s architect was Ion Berindei, a Romanian who trained in Paris. The architect’s Baroque influences can also be seen, especially in the beautifully decorated interior. The museum opened in 1956, a year after the death of Enescu, dedicated to the life and works of the composer. On display are instruments, documents, manuscripts, photographs and other memorabilia connected with Enescu.